Clifton Park NY - Pasta Pane The New DZ Restaurant, Inc. Is Opening Soon! The Pasta Pane will open February 5th, 2010 in Clifton Park NY. Clifton Park NY - A family is expecting a new addition to their clan - but not just any family. 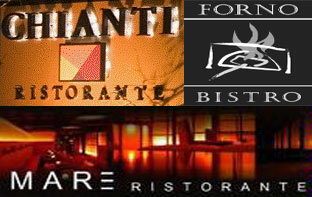 DZ Restaurants, Inc, a group of Saratoga-based Italian restaurants including Chianti Il Ristorante and Forno Bistro, will soon be joined by Pasta Pane, the newest DZ restaurant. Pasta Pane will open Friday February 5th, 2010, at the former Applebee's location off of Route 146 near Clifton Park Center Mall. David Zecchini, founder and initial-giver of DZ Restaurants, is the proud founder of this new rustic Italian bistro, named after another founder (a food one, that is - "pane" means bread).